See an Industrial Augmented Reality Demo on your device! iQagent has a full featured internal mode that allows you to scan our demo Points Of Interest (POIs) and see simulated data and resources. Complete the form below to receive your Free iQagent Demo Kit! 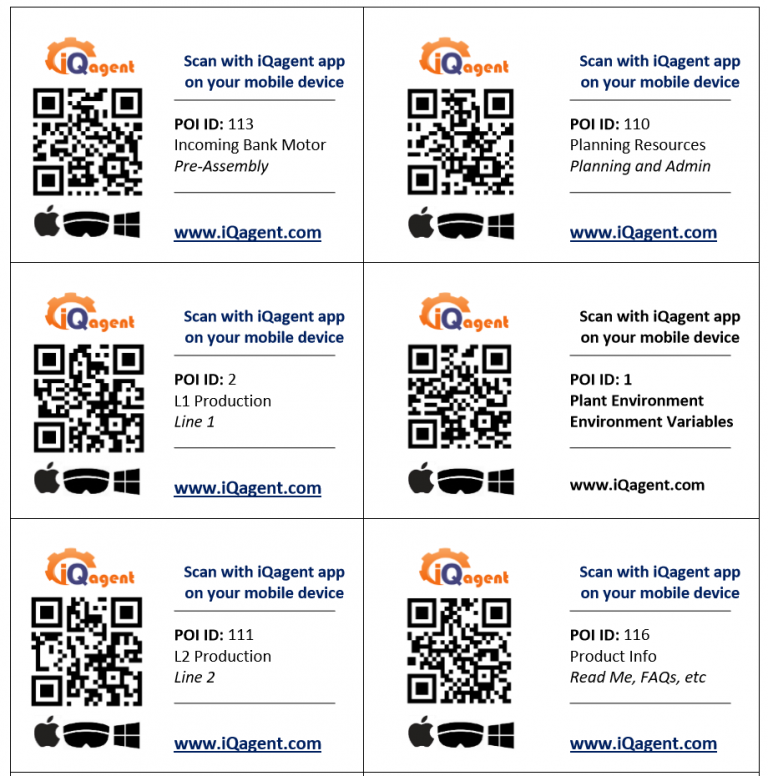 Scan the QR codes (POIs) in the demo kit with iQagent on your supported mobile device to check out our great features and amaze your friends and colleagues! Once you fill out and submit the form, you will receive an email with a link. If you don’t see it soon, check your junk folder!